Financial Yoga – How it Can Help you to become Stress free & Happy? On this note, wishing all of you a healthy and fit life on this international yoga day ~ belated! Since all of you must have been busy preaching and practicing yoga all this while and concentrating on health, we have come up to you a little later with this mind boggler about wealth! 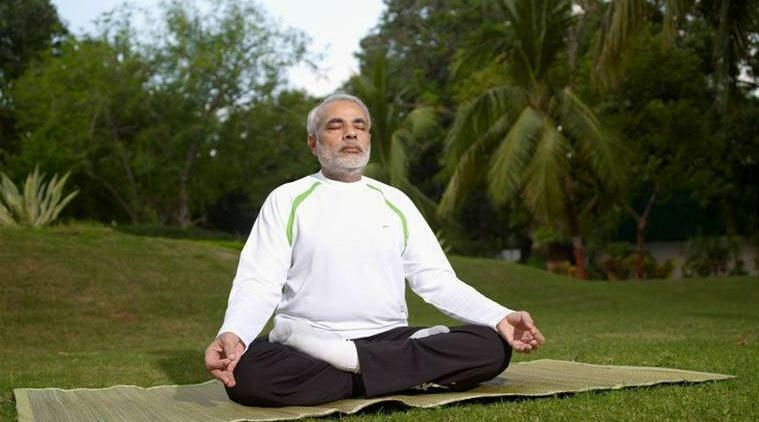 Two days back, when yoga was flowing free in every corner of the world, it met finance. Finance greeted yoga on its special day very politely and happily. Yoga was a bit proud. They just sat over a coffee and yoga started boasting over its value in today’s world and how it is the ‘new in’ presently! Finance heard carefully. Yoga said “I am celebrated by millions today. I take care of their health and so I am most important to them. They love me and have also dedicated this day entirely to me! It’s so good you know! Oops! You would probably not know because you aren’t that famous yet. Yes you are wanted, but you somehow only tend to ruin people while I make them the best.” And suddenly finance interrupted “I don’t ruin anybody. People ruin me by not understanding the real me! I might not be as famous as you yet sir, but I am equally important and this fact is irreplaceable. As there is no substitute to health in one’s life, there is no substitute for wealth as well. You help them to be healthy and I keep them wealthy. But I feel bad that people don’t understand my value. They hardly understand the importance of financial freedom like they have now understood what the essence of yoga is. Everybody is running behind me and when they can’t catch me, they blame me. But it’s actually the other way round. It’s a circle where I am running behind them. They just need to understand the power of being financially free – and I will follow! Yoga was confused “now what’s that bird? Finacial Freedom! ?’ finance smiled “see sir, this is the problem. Most of them don’t get what’s being financially free is all about. Financial independence is generally used to describe the state of having sufficient personal wealth to live, without having to work actively for basic necessities. For financially independent people, their assets generate income that is greater than their expenses. Only running day and night and not still being financially free is one biggest weakness that we face each day. This is probably because expenses are pretty too high and we don’t have that high saving to create income generating assets for ourselves! In fact, what I feel is financial freedom and yoga is so well connected and similar. After all – a healthy person can achieve great heights earn good, and on the other hand, wealth helps you cure illness and stay healthy.” Finance smiled while yoga listened carefully. “I can also get you certain points to explain how we have so much in common.” exclaimed finance. And this is the prime motive of a human being’s life. Yoga helps providing peace mentally as well as physically and makes you double active to work harder, faster and smarter. So does financial freedom. It gives you security, peace, fulfils your dream, gives you all that you desire and that too without hampering your daily routine. Since you have your passive income working for you and you have enough returns to spend your retirement life happily, you don’t have to take that extra pressure of work and Bingo – you are a pinch healthier now! Yoga sets us free from the health problems by solving them directly from root. It cures you forever giving you a happy and prosperous life ahead. And so does financial freedom. It sets you free from your wealth generation problems and solves the finance problems from root. Since it sets you free, you can now plan so much in your retirement that you always wanted to do throughout the life but somehow missed it under the daily work load. You can probably start experimenting on daily basis and try solving various problems that a person face day in day out in the hustle of life. Or you may help those in need and give a perfect blooming life ahead. Only when you are set free, you can set others free from miseries too! Yoga is not just a daily dose, but the real yoga followers know it has to be a part of your life as well. You need to follow the theory entirely and always. Short term benefits may not be much visible but once you make it an integral part of your life, you’ll feel the in depth difference in your mind, body and soul. So is here. People want quick returns as if there is some magic wand that’s going to rain wealth on them, but it’s not so. Make it a part of your life, invest and think for long term and see wonders happening. If you start investing a small amount today, you may not be able to estimate the amount of money you get altogether some day! So make it a hobby and turn your hobby to habit! You don’t generally need a particular place for yoga. You can practice it anywhere, your veranda, garden, hall and kitchen or if you are bold enough, you can practice small meditation techniques even while working or travelling or in public places as well. Financial freedom provides you freedom of location as well. You don’t really need to have a brick and mortar shop or offices to practice it, especially if you choose to be financially free through stock markets, you can’t even imagine the ease of its operation. Laptops and computers are now old; you can manage it well on your mobile phones and that too in no time. So it gives you operational autonomy and also saves time. Yoga doesn’t need any high budget investments and in its basic or even high levels, can be practiced just by purchasing a yoga mat. During basics, you can also manage it on a bed sheet or any other material as such. And so is stock market. You don’t need to put in a lot. Just small amount at regular intervals may create huge difference. Or even in any other form of wealth creation, it’s not about how much you invest at once but how you invest regularly. For example, start saving Rs.50/- per day which may sound almost illegible and small but Rs 18,250/- at the end of the year and 91,250/- at the end of five years sounds huge (and this is just the principal amount, without interest). So, it’s important to take steps in right direction, size doesn’t matter always. Yoga need not be supplemented by strict diet control. Just a healthy diet is enough. You don’t need to starve your stomach out and neither have you to live on those tasteless shakes and juices. Just a healthy and balanced diet is enough. Eat normal and stay normal. That’s it. So is here. You don’t need any special kind of diet of knowledge or any other supplements to set you financially free. And again, if its stock market that you choose, you just need the correct thought process and some basic market knowledge. If you can’t manage that, there are people who are readily assisting you in this motive to set you financially free. Just catch the right one and start working with them. You don’t need to take any further tensions. Yoga teaches how to balance your body on just a toe of yours’. Isn’t it great? Balance is all that you need in life. Every small step you take need to be balanced. The pros and cons of every decision need to be balanced. And so is money and finance. There has to be balance between the selection of passive income and risk driven incomes, between what and how much you spend, between how and when you invest and consume etc. we need to understand this balance of life in order to have a smooth running life ahead! Yoga was satisfied! It shook hands with finance and said – “I was so wrong brother. You are like a twin to me, a companion and a complementary stuff. I probably won’t be complete without you and you are equally important and beneficial. But these commoners’ understand a little late. As they have now understood my value and started celebrating me, I am sure they will understand the importance of financial freedom soon and dedicate a day to celebrate you as well. Probably, a day isn’t enough – you and me, both needs to be celebrated each day as a part of their lives. After all – I care for their health and you nurture their wealth – the two most important things every man strives for throughout their lives!! that will bring wealth into the persons life !!! arm over your head !!! Yoga is not only the physical exercises as I have learnt from Patanjali’s yoga-sutras and other yogic literature.Yoga is merger of self into Self for which we needs the help of a guide , known as a Guru in Indian tradition.Similarly for financial yoga a guide is needed , and I believe that there cannot be an able guide better than Niftymillionaire who will definitely make us financially free.